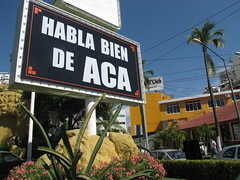 A campaign launched by Acapulco night club owners encourages people to speak well of Acapulco. 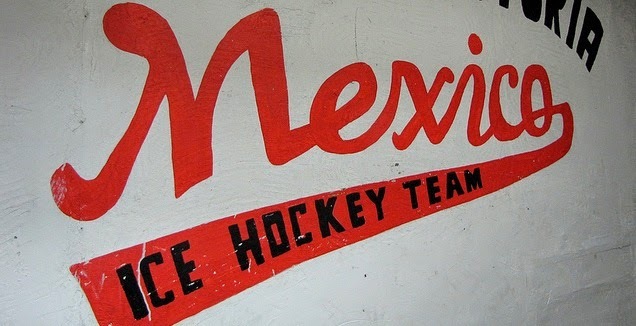 It comes as the granddaddy of Mexican tourist destinations suffers through a wave of organized crime bloodshed that has involved beheadings and mass abductions. Tourist officials say the violence takes place far away from tourist areas and doesn't impact visitors. They complain, too, that violence in other parts of Guerrero often is erroneously reported as somehow involving or being near Acapulco. I went to Acapulco recently to report on the situation for USA TODAY; read my dispatch by clicking on the headline for this blog post.